Indian Khurpa are gardening diggers, grass diggers and soil mixers...I thought they were really interesting. They are very heavy and well made. I doubt that you could ever break one. 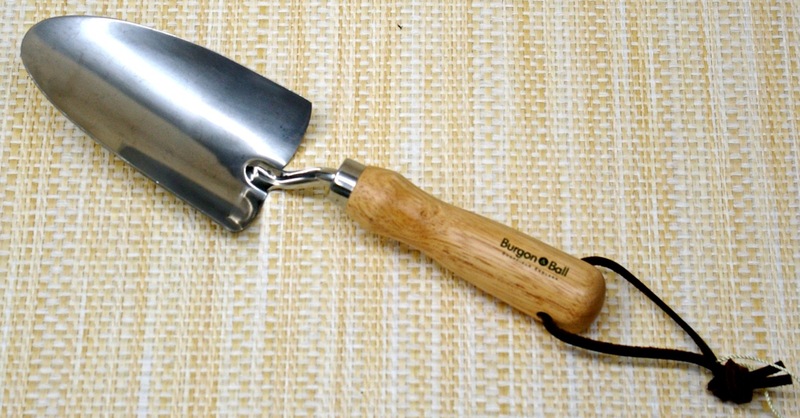 It seems to me they could be used as edgers or flat trowels for difficult soil. Here is how they are described in an agricrop booklet about India, "Small weeding tools or aids are traditional hand held type hoes like "Khurpi"	used by the farmers. These tools are operated in squatting posture and have very low work output. Different designs of these tools are being used by the farmers of different regions. These tools are suitable for removing the weeds between plants in both row-sown and broadcast fields and are quite efficient." Notify me of updates to Khurpa Large 12"